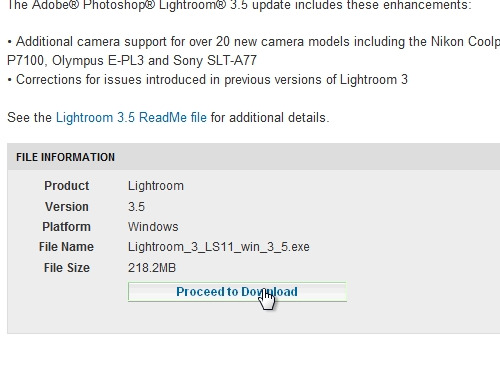 In this video tutorial we will show you how to upgrade lightroom 1 to lightroom 3. In order to upgrade lightroom to the third version of the program, open Internet Explorer. Go to “adobe.com”. Enter “lightroom 3” into the search field. 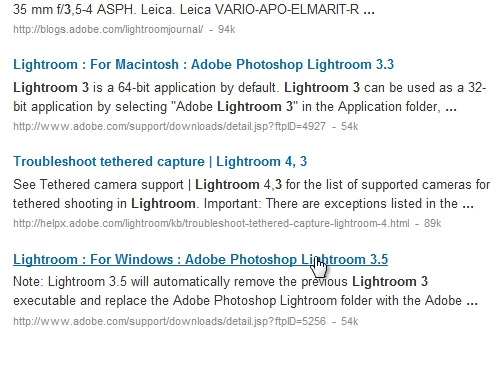 Find “Lightroom : For Windows : Adobe Photoshop Lightroom 3.5” on the results page and click on it. On the following web page click “Proceed to Download”. In the next window, click “Download Now”. Save the file on your hard drive. Wait until the download is complete. “Run” the downloaded file. When you see the Photoshop Lightroom installer window, choose a destination to extract files and press “next”. 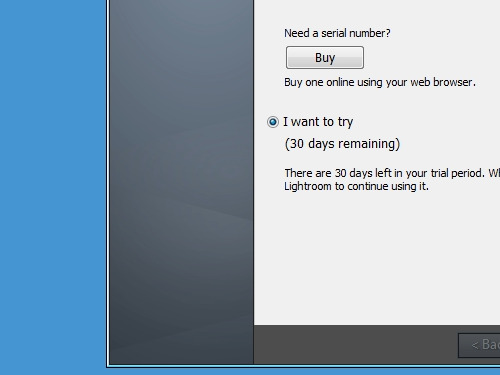 After the extraction is complete, press “finish” to launch the Lightroom installer. When you see the Lightroom InstallShield Wizard window, accept the Adobe Software License Agreement, choose a destination folder to install the program and press “Next”. Wait until the installation process is complete, it may take about 5-10 minutes. 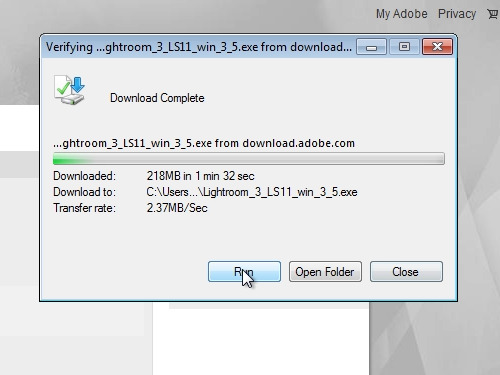 After the installation is complete, double-click on the shortcut on the desktop to launch Photoshop Lightroom 3. In the appeared window, choose “I want to try” and click “Finish”. Now you can use your newly upgraded Lightroom.